Our engineers know how important it is to have a safe and secure home, so we want the same for our clients in Essex, London and Kent. Security today is essential. Reactive Electrical can install all types of security systems that will protect you, your family and your home from the threat of burglary. Our skilled engineers and professionalism provide nothing more than a first class service to ensure peace of mind. If you are interested in securing your home with the latest security system and would like us to carry out a free of charge site survey to find out the right system for you, then contact us today for more information. We will always carry out necessary risk assessments before any work commences. We can offer you a range of packages that will suit not only your needs but also your ideal budget too. Having a new security system fitted will enable you to feel safe and secure. The different types of packages we can offer you include a 24/7 monitoring service or an alarm system which can also include a fire detection system. Additional components can be added to the above such as smoke or fire detection, extra sensors, pet friendly zones and door contacts. One of the key benefits to having a wireless system is that it is really easy to fit therefore minimising any disruption to your property. In addition to home intruder alarm systems we can also offer Carbon Monoxide protection, CCTV and Video Door Entry. It’s a well known fact that many deaths and injuries could be prevented if people received an early warning and were able to get out of a house or building in time. Fitting a smoke/fire alarm could help save many lives and protect your home and all of the personal belongings contained within it. We have supplied and fitted different kinds of smoke/fire alarms in many Essex homes ensuring all of our work is carried out to BS5839 standards. All of our electricians are highly qualified and have many years of experience fitting all kinds of alarms for commercial and domestic customers. If you would like us to advise you on what we feel would be correct for your property or business, then please give us a call. Smoke/fire alarms need little maintenance but they do need to be checked on a regular basis by pressing the test button. You should also replace any batteries in a detector on a yearly basis. If you follow these simple steps your home and loved ones will always be protected. We would also be more than happy to regularly maintain any existing installations you currently have in place. This is the entry level fire system for most requirements, these are suitable for small businesses, shops, warehouses, small hotels, nursery’s and small offices. These fire systems are modern systems which are able to transmit data over the detection circuit that provides information for the user. Similar to a conventional system, they have detection zones. However, with a twin-wire system the main advantage is you can put sounders within the detection circuit. This system has the advantage of no wires having to interlink the detection and the sounders. Same standard as an addressable analogue system. There are also many different types of smoke alarms, some are more sensitive to flames and others smoke, these include lonisation, optical and combined fire alarms. 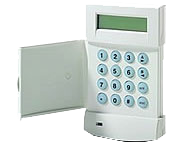 We can help you choose what alarms are right for you, your home or your office and can ensure that they are put in the correct places. We can carry out maintenance and testing for those customers who require it.